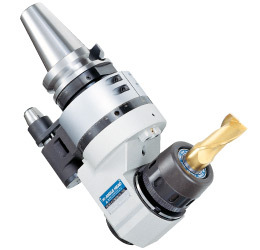 We all know what the CNC Milling Machine spindle is used for - to hold the tool. But it is old and boring. Everybody does that. 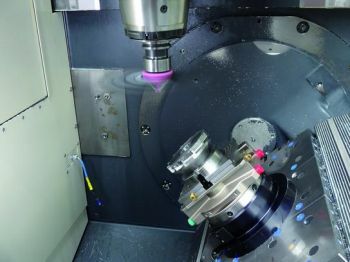 Here are the 6 interesting and maybe less common ways to utilize machine spindle, increase productivity and solve some problems you never thought you had. Use your Spindle as a fan to blow chips and coolant off of your work-piece, table and fixturing. I saw this little gadget at a local IMTS show and it was quite cool. It is installed into a tool holder like a regular cutting tool would be and at the end of the program you can call the it up and run a little table-cleaning program to make your work a lot cleaner! Use a spring-loaded Sharpe to mark invisible features. I came up with this method when guys in the shop asked me for a way locate vent holes on our moulds. It consists of a two spring-loaded aluminium cylinders, one end of which goes into a tool holder and another one holds a Sharpe marker. A program used to drill the back holes is rotated and hole locations projected to the surface of the mould. This way our tool does not try to go through the wall. I tried to dig up a video of it, but it seems I lost it. 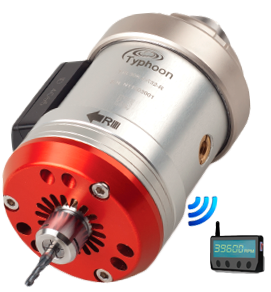 On one of my jobs I attached a simple whistle to a toolholder and programmed spindle air-blow M-code when the program was complete. That's a noise you can not miss! This spindle attachment adds one more faux axis to your 3 axis mill allowing you to do some work in a hard to reach place. Tiny endmills require crazy speeds to get optimal productivity and tool life. 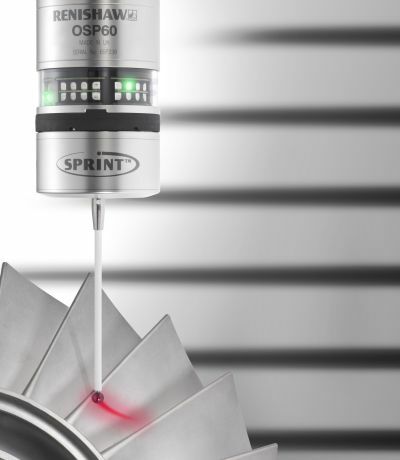 Spindle speeders can solve the problem of near-zero cutting speeds for micro-machining. Meachanical, where rotation of the spindle is multiplied using gears. Air-driven, where air is used to rotate a little turbine, that in turn rotates the tool. Coolant-driven (like on the picture above). Same as air-driven, but the pressure of the Coolant-Through-Spindle is used to rotate the turbine. Coolant and air-driven speeders offer highest speeds, while mechanical ones give the most torque and more constant RPM values. Sometimes i had to measure huge parts with pretty tight tolerance requirements and taking them out of the machine was not an option. Instead i elected to write a little macro, that would tell the machine to probe the features i needed and write numbers into unused work offsets. All that remained after that was to check if the numbers stored in offsets lay within the tolerances. What else can you use your spindle for?